During an interview with Narrative, Hall discussed his life’s work and read aloud from his poems and stories. Now in his early eighties, Hall continues to write every day and to inspire others with his devotion to art. The full text of our interview with Hall, as well as other of his works, can be read in our Archive. 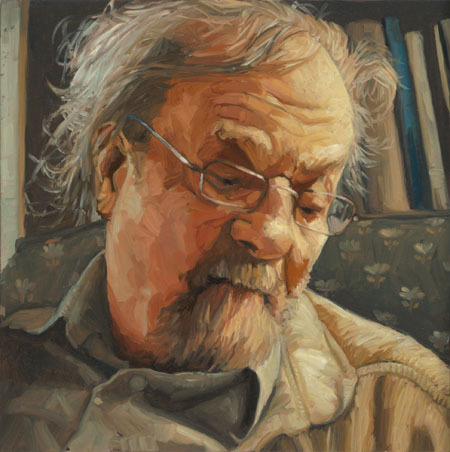 Donald Hall’s works include eighteen books of celebrated poetry, a Caldecott Medal–winning children’s book (Ox Cart Man), and prose books about New Hampshire, his grandmother’s farm, baseball, and the sculptor Henry Moore. Hall was New Hampshire’s Poet Laureate from 1984 to 1989, and the fourteenth U.S. Poet Laureate from 2006 to 2007. In 1993 an Emmy-winning Bill Moyers interview focused on Hall and his wife, the noted poet Jane Kenyon. Hall has also received a National Book Critics Circle Award, two Guggenheim Fellowships, a Robert Frost Medal, and the Ruth Lilly Poetry Prize for lifetime achievement. His prose works include criticism, journalism, memoirs, biographies, and plays. Hall continues to live and work at Eagle Pond Farm.